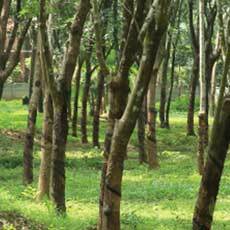 A Green Leaf certified Ayurvedic hospital, situated in a 200 acre rubber plantation located at Koottanad in Palakkad, Kerala. Our medical team consists of 10 Physicians and 60 therapists. For ensuring round the clock care, our medical team resides in the same premises. We also have a GMP certified manufacturing unit. 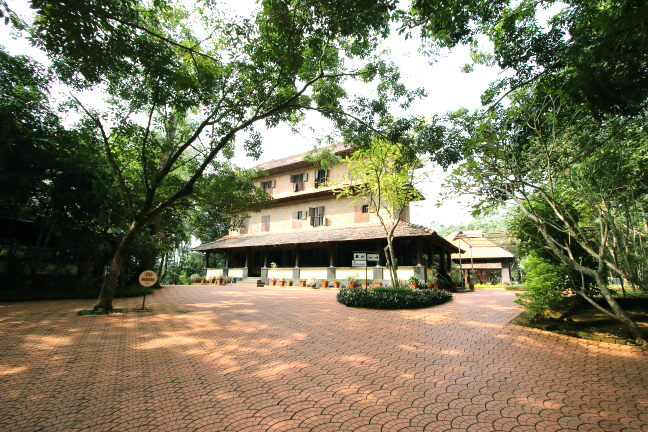 With the plantation as a backdrop, you can come across, peacocks, cranes, sparrows and many other small tropical animals while you wander along the trails inside the resort. Built up area : 20,000 sq.ft. When I look back at my life today, I never imagined I would achieve so much. 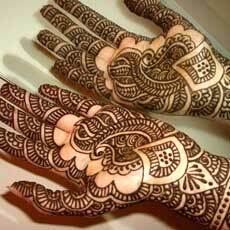 My life events are truly a medical phenomenon and my remedy was Ayurveda. I was born in Canada with a disability called Arthrogryposis Multiplex Congenita. This means my muscles and joints were stiff at birth and my muscles and joints were not fully developed. Doctors had little hope in the life I was going to live. They presumed I would grow up with slow mental development and limited muscle movement which would make me fully dependent on activities of daily living [dressing, eating, etc.] and they also said I would never be able to walk. Lucky for me, I was blessed with a supportive family. My parents never gave up on me and always looked for some hope to help make me better. 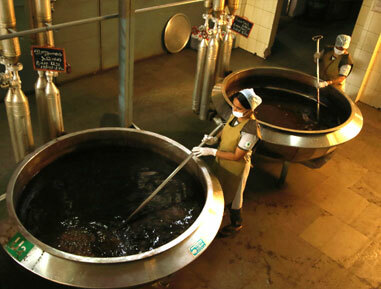 Finally they came across a way of medicine that has been practiced for many years, that is Ayurveda. 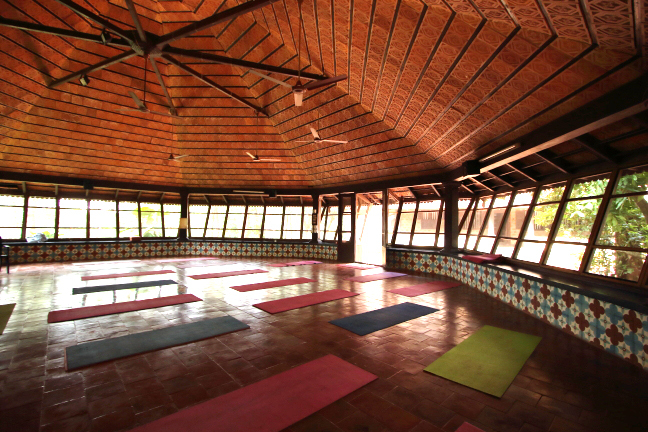 The first time I had tried Ayurveda treatments, I was 5 years old. My neck was tilted to one side because I did not have enough strength in my neck muscles to keep my head up. The tilt in my neck was a potential danger as it would eventually prevent oxygen from reaching my brain. 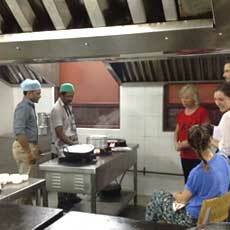 We flew to India where I had three sessions of Ayurveda (each 28 days long) as they worked on my neck and on my legs. With a lot of effort from the doctors and faith, within six months, I was able to hold my neck up straight and I took my first steps. When I came back to Canada, my pediatrician and the many doctors involved in my case were completely shocked at my unexpected progress. Along my years I continued to be treated medically and had approximately 23 surgeries from the time of birth to correct my deformities in my arms and legs. When I completed my schooling, although I was mentally strong and able to walk, I developed further issues such as being overweight; I was still depending on my mom for feeding, changing and all activities of daily living. I had to come to a point where I went through depression thinking about my future and what it would hold. My mother decided to try Ayurveda once more and after a lot of research we found a place called Rajah Islands. Upon arrival, the doctors and the staff were knowledgeable, kind and efficient. After reviewing my case, they started treatments on me to work on my weight and to increase my mobility. For a case such as mine, one session would never be enough. A natural treatment takes it's time and it takes patience and faith. After a few seasons (each 28 days) I started losing weight and getting mobility in my arms. The doctors took the extra effort to do exercises to help make me more independent. Gradually through the Ayurveda treatments, acupuncture and exercises, I started to learn to feed myself and take a more part in doing things for myself without assistance. I felt motivated and became hopeful about my future. A few years later at the age of 23, I got married. Two years into my marriage, I struggled to conceive a child. Once again, I visited Rajah Islands for Ayurveda treatments to help conceive a child. A month later, I successfully conceived. Nine months later, I gave birth to a healthy baby boy. Two years after that, I gave birth to another healthy baby boy. I am not only blessed with a beautiful family, but with the help of Ayurveda I am independent enough to care for my children, cook for them and am successfully fulfilling my duties as a mother and a wife. Although I have made a lot of progress throughout the years, I continue to maintain my treatments to keep rejuvenated. Ayurveda is a natural remedy for any health problem. Natural remedies take time, patience and most importantly faith. Thanks to Rajah Ayurveda Hospitals and all the hardworking and dedicated staff, I am able to live a normal life. It was a pleasure staying with you at Rajah Beach! 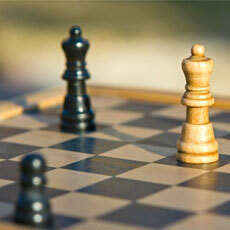 The first consultation was very good and I really was glad to have regular consultations every day. The girls and women doing the treatments do a great job. They are loving and caring. They took my hand and brought me to the treatment room. I enjoyed the treatments. I never experienced being washed after the treatment. This was such a pleasure. Sometimes I felt like a child, being washed and taken care of. 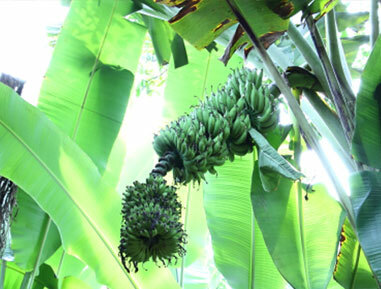 A new experience was also that I always received my medicine, my fruit juice or my fruits - whereever I was they found me. Great job. 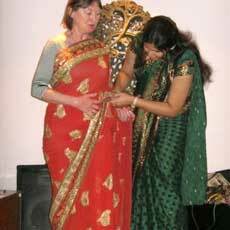 I also enjoyed the activities you offered: to the cooking, Saree binding etc. And I really loved the food. I appreciated it so much that I will surely miss it. All in all there is a loving and caring atmosphere. Thank you very much, for making our recent visit an immense experience, and a very pleasurable and memorable trip. I came with preconceived notions for myself, of receiving the typical Western deep tissue massage techniques. But boy, was I in for a very pleasant treat. I thoroughly enjoyed all the thoughtfully prescribed treatments, that have helped rejuvenate my mind, body and soul. In the beginning, I wasn’t too excited about being on a “controlled” diet, but I now fully understand the need for abstinence and fully embrace the methodology. I would like to sincerely thank each and every one at Rajah Healthy Acres and beyond, all the doctors that came to visit us from Rajah Island and Rajah Beach. I am so grateful and blessed to have made lifelong friends with all the humble, caring, empathetic people that I was so lucky to cross paths with at RHA. During my stay at RHA, I have acquired some Ayurvedic knowledge (I had read some prior to coming, but receiving first hand treatments is definitely a showstopper), and fully understand as to why the treatments are done the way they are, and how they benefit the body. Incidentally, I had a conventional massage on Saturday, and definitely compared and missed the Uzhichil treatment. I have just ordered my first bottle of Organic Sesame oil with the 9 herbs, so that I may give myself my first Abhyanga treatment. So excited! 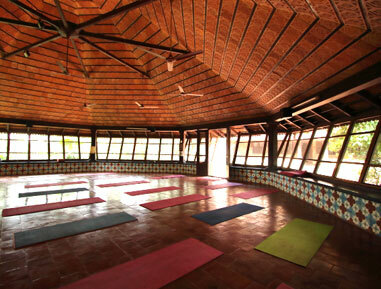 I loved the early morning yoga, in company of my beautiful, loving and caring sister and brother-in-law, Nimet & Nazmu. And under the kind and expert supervision I enjoyed the food / tea & juice tradeoffs and the occasional “steal”, lovingly planned and catered. I humbly thank each and every one of you, for all the care, kindness, love, compassion, encouragement, empathy, happiness, laughter and fun you bestowed on us each day. You made us feel right at home, like we were staying with our own family. When I got back home, I had an emptiness in me as I missed you all, I felt the void of being pampered and well-nourished during my stay at RHA. This was a very emotional, fulfilling and incredibly memorable trip, and I can’t wait to see you all again very soon. A BIG Thank to all the Doctors, for making our stay incredibly welcoming and nurturing all our needs. THANK YOU! I know there are many many more people, that we did not interact with personally, but are a crucial part of your team, and who make our stay so comfortable. I thank each one of them for making our experience so memorable. Until we meet the next time, I sign off with my heartfelt prayers and thoughts for each one of you. Back home... With this mail i just want to thank you again for a very well service and staff. Please give my warmly thanks to my doctors, therapists and acupuncture and yoga teacher. They did a fantastic job! As a present to myself, i give myself 3 free work days to give me time to smelt my ayurvedic treatment experience! Thank you very much! I am so grateful for the kind, warm and generous hospitality of the staff, therapists and physicians. The experience at Rajah has been an absolute delight and healing time for me. Thank you. Food: Excellent, delicious, healthy variety Services: Excellent, outstanding, finest, exceeded expectations. 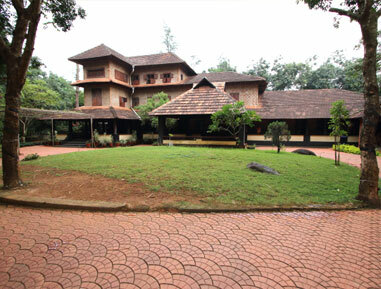 The rooms and cottages at Rajah Healthy Acres are spread across a large area. 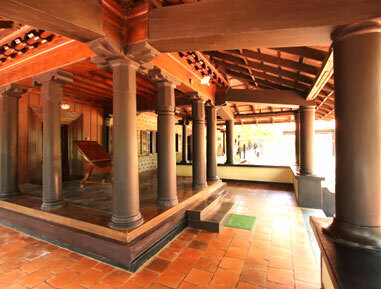 You can choose from single rooms to private villas - Thushara, Ashoka, Thulasi, Bhoorjapatra etc. Most of the rooms have their own treatment rooms attached. Boorjapathram is a Bungalow with two A/C bedroom, two sit outs, living room, dining area, one personal staff bed room, TV, phone and refrigerator. 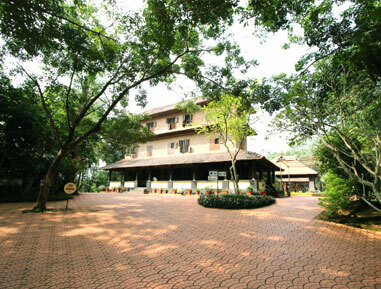 It is structered for comfortable stay for a family/group & is surrounded by garden. There is also two treatment rooms with attached washrooms. 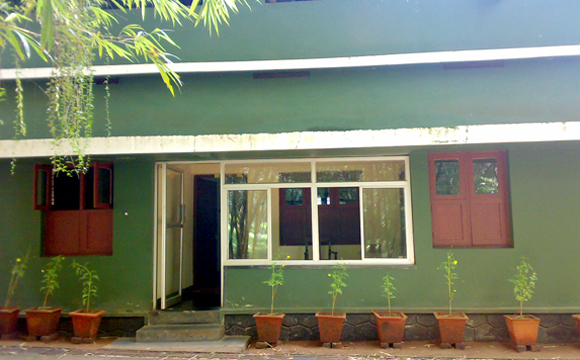 Neem Cottage consist of two A/C bedrooms, one treatment room, dining area, sit-out and living room. Hut is situated on the hill top. 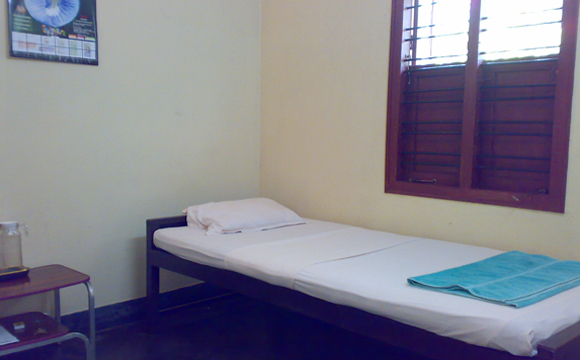 It consists of one A/C bedroom with living room and attached treatment room. Cottage consists of A/C bedroom with 2 beds, living room and sit-out facing the garden. 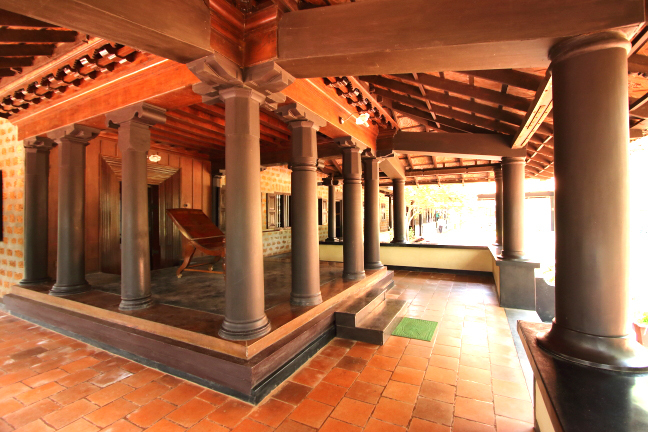 Each Thulasi cottage has a private treatment room. Cottage consits of A/C bed room with attached bathroom and living room. Treatment room is common. There is also an additional resting area nearby, facing the garden. Cottage consists of A/C bedroom with attached bathroom. Treatment room is common. 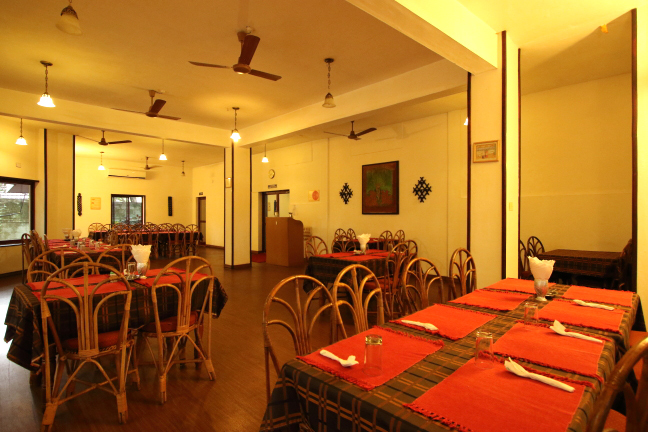 The Centre has extensive facilities for various Ayurvedic treatments. This is a method of packing the body using a mixture of termite mud, paste of neem and turmeric. In this, the whole body and scalp will be well covered by the paste and the patient has to sit in the moderate sun until it dries. 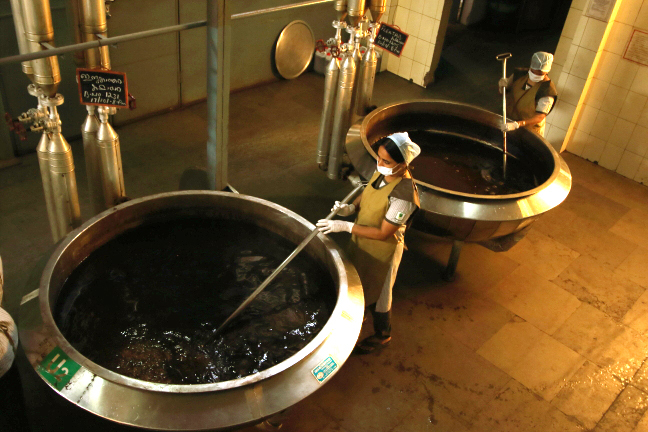 It’s a very special treatment in which a huge neem tree is carved into a bathtub. It is filled with nearly 300 litres of medicated cows milk. The person has to lie inside for an hour. This is excellent for skin and complexion. Safron mixed with goats milk is applied on the face at the time of treatment as a facepack. 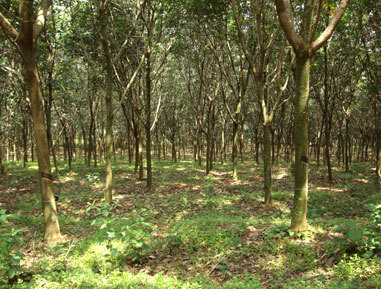 The centre is in the midst of a vast rubber plantation consisting of rubber trees at various stages. 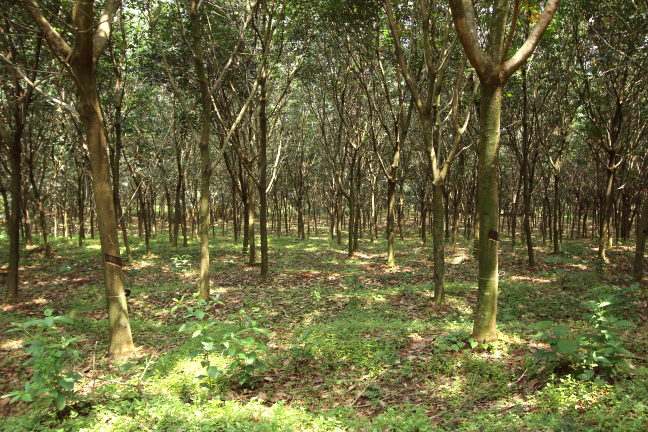 Rubber tapping and processing is done inside the campus itself. 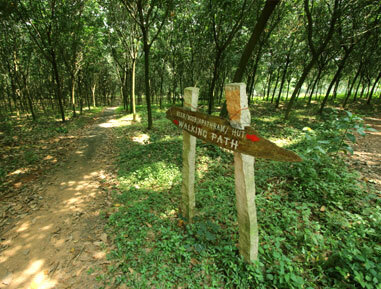 Rajah Healthy Acres has a large plantation where Ayurvedic herbs and plants are grown in a natural way. 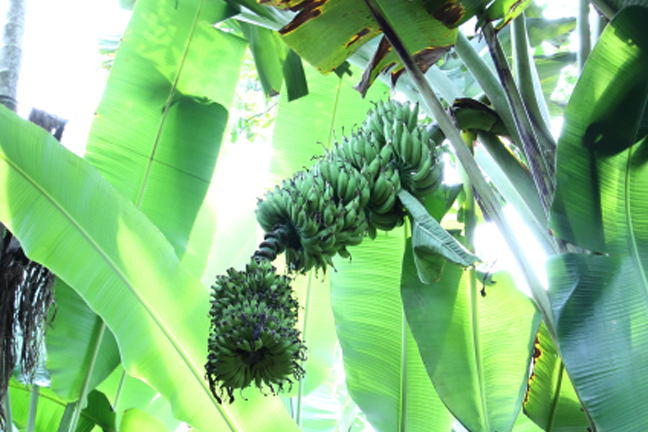 Apart from the medicinal plants, you can see the traditional Kerala vegetation-Coconut trees, Areca palm, Mango trees, Jackfruit tree and Banana plants. 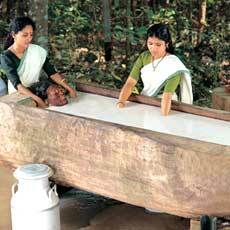 Although an Ayurveda cure is generally characterized by rest, relaxation and regeneration, you still do have ample opportunities to get to know the surroundings and experience a slice of Kerala life. 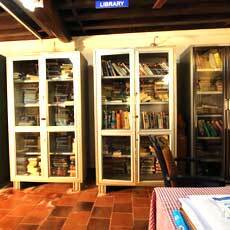 We have a library with good collection of books from different languages, magazines and medical books. Books mostly comprise the following categories - Fiction, Philosophy, Yoga, Ayurveda and Cookery. Caroms, Chess, Cards, Bicycles are available here. 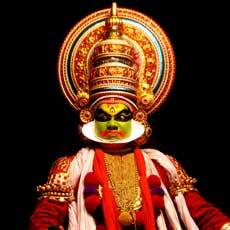 We occasionally organise Kathakali & Kalaripayattu performances, South Indian Classical dance and Classical Music Concerts. 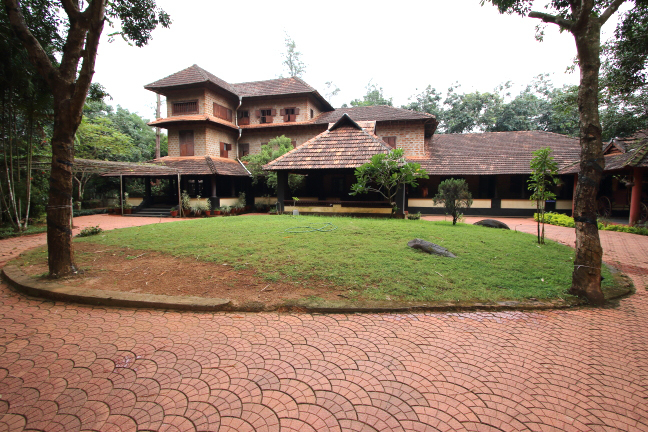 Comfortably tucked away at Kootanad, in Palakkad district of Kerala, the evergreen state in southern India, Rajah Healthy Acres, an ayurvedic health centre, is a nature lover's delight. It is easily accessible via air, rail and road. 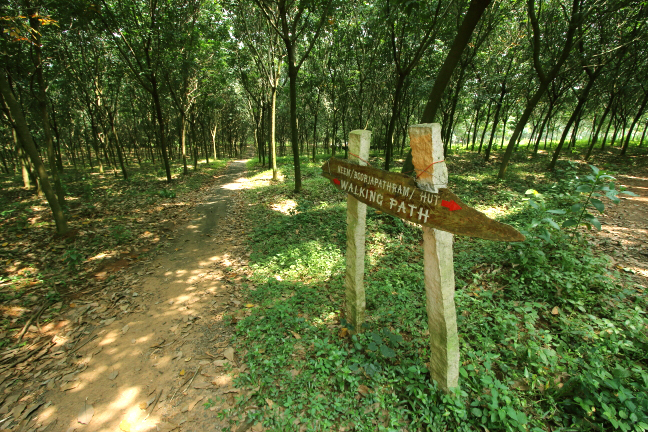 The Cochin International (COK) Airport lies just 90 kilometres from Rajah Healthy Acres. It takes around 2 and half hours by road to reach the center. 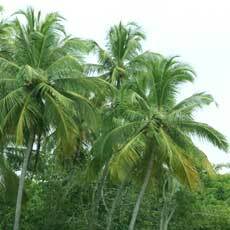 Rajah Healthy Acres is located in Palakad district in Central Kerala. It is easily accessible. 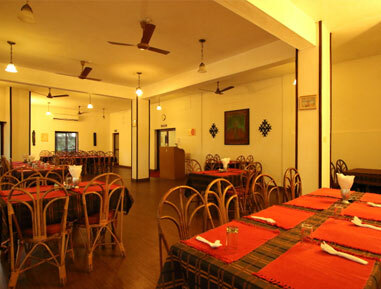 The village is just a few kms from the National Highway NH17. Nearest railway station to Rajah Heathy Acres is Shoranur Junction (SRR). It takes around one hour to reach the center. Palakkad Dist. Kerala , India.